A.O. Smith made its first water heater in 1939 and in 1953, A. O. Smith shipped its first commercial water heater equipped with a “glass-lined” tank. Based in Tennessee, USA home to the world’s largest water heater factory. The A. O. Smith network includes five manufacturing facilities in North America, plus plants in Nanjing, China and Veldhoven, The Netherlands. We can service or repair all types of A.O. 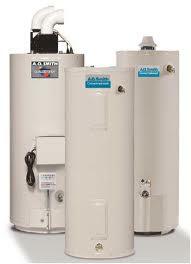 Smith Boiler including their gas range and the Dura-Power NW Series Electric Heating.